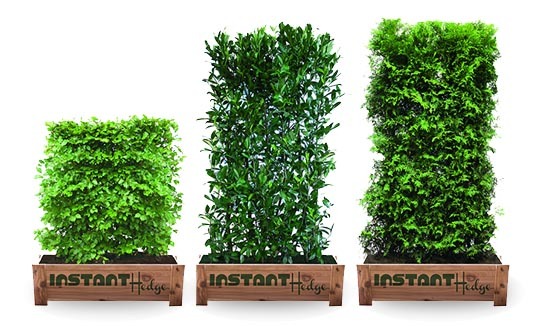 March 2019 — InstantHedge took the design/build market in the United States by storm in 2018, debuting 20 varieties of precision-trimmed and packaged, ready-to-plant 3-4’ and 5-6’ hedges. In the fall the company expanded with a line of 18” boxwood panels for instant borders, knot gardens and patios. Creating a garden that is either beautiful or utilitarian is simple. Creating a garden that is both beautiful and utilitarian is tricky. There is a key secret for making this possible, and I'm about to let you in on it: use hedges to create garden rooms. With living spaces getting smaller and smaller, while our need for plants growing around us gets greater and greater, container gardening has become an extremely important landscaping tool. In partnership with the talented architects at Union Studio, the incredibly gifted craftsmen of Sweenor Builders, and our valued Sponsors and Contributors, we are excited to unveil our 2018 TOH Idea House in Narragansett, Rhode Island. This 2,700-square-foot Craftsman-style cottage features abundant built-ins, a guest quarters over the garage, and dreamy spaces for outdoor “staycation” living. Scroll down to take a video tour, check out inspirational galleries, enter the Idea House Sweepstakes, and read more about the products and services you’ll find inside and outside this beachtown bungalow. 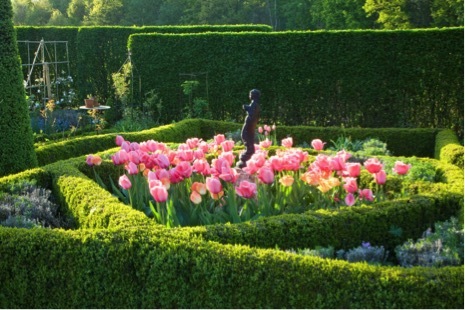 A great knot garden is like a great wine: nice at first, but as it matures it takes on complex, sometimes unexpected characteristics that enchant and delight the senses. 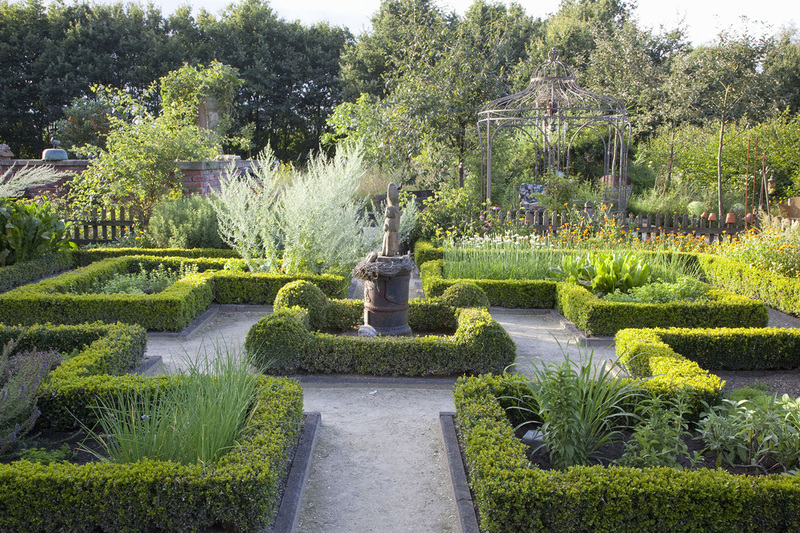 Do you dream of having one of these charming gardens, but you're not sure where to start? We are here to guide you, step by step. Living screens are as versatile as they are varied. They hide the neighbors, block ugly views, provide backdrops and create garden rooms. Originally, though, screens were used to hem in livestock. When humans made the leap from hunter-gatherers to start an agrarian lifestyle, they prevented animals from wandering by using living screens left behind as they cleared the land for planting. In ancient Roman times, the practice became more structured as farmers planted their own shrubs to mark property lines and keep animals in line. Each InstantHedge is an evergreen or deciduous hedge sold in panels of four trees that have been pruned multiple times each year using GPS tracking equipment to provide extraordinary density. Revolutionary technology ensures precision, accuracy and delivery of a consistent product. The hedges look like they’ve been growing in place for years, not just dropped in the ground. InstantHedges arrive on site in sturdy biodegradable cardboard boxes ready to plant, and easy to maneuver with loading equipment. The result? Instant privacy and design features in 3-4' and 5-6' heights. Evergreen: check. Deer resistant: check. Full sun: check. Full shade: check. Hardy to Zone 4: check. Easy to maintain: check. Can be pruned to any shape: check. What more could you ask for? The above cannot be said for many plants! For these reasons, boxwood (Buxus sp.) has remained the most popular shrub grown in the U.S. and worldwide for centuries. Boxwoods can tolerate a wide variety of growing conditions. They are slow growing and have lush, easy-to-shape evergreen foliage, making them especially useful for low borders, knot gardens, and topiaries. Recently, while walking through the aisles of the Independent Garden Center trade show in Chicago, I discovered a product I’d never seen before—containerized hedges. A row of neatly sheared plants outlined the booth. Clearly, they were field-grown and root pruned, their branches naturally intermingling. It was a living privacy wall you could buy. It would take years and plenty of effort to grow a hedge like this. This one could be delivered to your doorstep and, depending on the length, planted in an afternoon. For everyone whose back garden has suddenly been invaded by a towering house next door, or for those who need the design control of a clipped boxwood right now, here was the answer. I had to know more. What if you could instantly enjoy privacy, instantly create an evergreen screen, or instantly plant a knot garden that’s garden-tour ready? You can! Introducing InstantHedge: real living, thriving trees, sold in pre-formed, pre-spaced panels for easy planting. They are truly instant, living hedges! Each InstantHedge is a lush, evergreen or deciduous hedge sold in panels of four trees that have been pruned multiple times yearly via GPS tracked equipment to provide extraordinary density. Revolutionary technology from the Netherlands ensures precision, accuracy, and delivery, of a consistent, thriving product. Once they’re in your garden, the hedges look like they’ve been growing in place for years, not just dropped in the ground, and they’re ready to hit the ground running, continuing to grow and thrive for years. 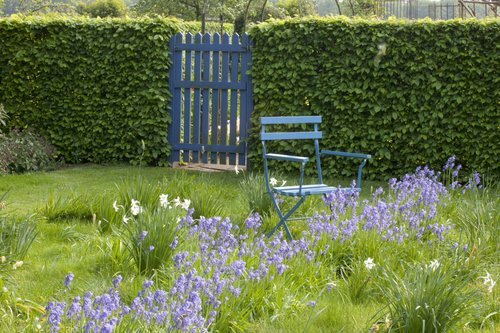 A hedge is a natural way to define space in a garden without the expense and labor involved in building a fence or wall. Planting shrubs such as boxwood and laurel can create green "rooms" that provide beauty and privacy in a landscape. Have you considered a hedge for your garden, but didn't want to wait the mandatory 4 to 5 years for the plants to fill in? 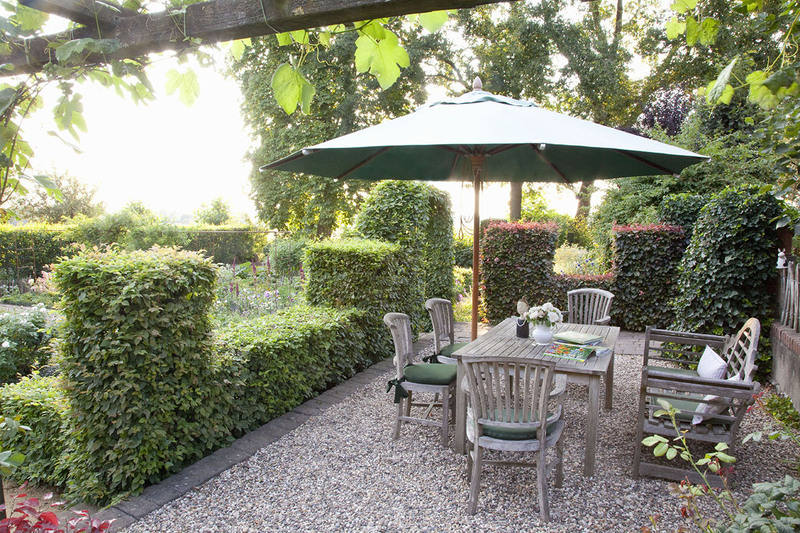 With InstantHedge, you can have a lush, finished hedge in just one day. It’s been a while since I mentioned InstantHedge, which is such a clever and simple solution to implement instant landscape gratification. Last time I mentioned it, they only had a few options plant-wise and were looking for distributors to assist in getting material into the hands of landscape contractors and retailers. A lot has changed in the past year and InstantHedge is now offering boxwood (Green Mountain boxwood, to be exact) and 18 other taxa including my favorite plant in their lineup, Ilex xaquipernyi Dragon Lady. More importantly for those who want to get their hands on these marvels, the product line is now available via both Fast Growing Trees and Wayside Gardens. RECORD BREAKING WEATHER. A few weeks ago all we thought about was the cold and not the heat. This winter was pretty mild, but then we got hit with a few days of frost and cold, and all those plants we thought would survive, didn’t! It doesn’t matter now. The heat returned and all is forgotten! The spring rains may come and go, but the warmth will probably remain. Still, that doesn’t mean that you should put out all your tender plants yet. Keep an eye on the weather forecast and maybe wait another week or so to make sure that these temps are not going south any time soon. Hedges have been an important part of Hamptons landscapes for as long as I can remember, and I feel pretty certain that if you visited the East End a century ago, the village areas of Westhampton, Southampton and East Hampton would look very familiar, not just for the architecture and seascape but for the hedges as well. The vast majority of these hedges, probably hundreds of miles and thousands of linear feet of them, are the ubiquitous privet hedges. 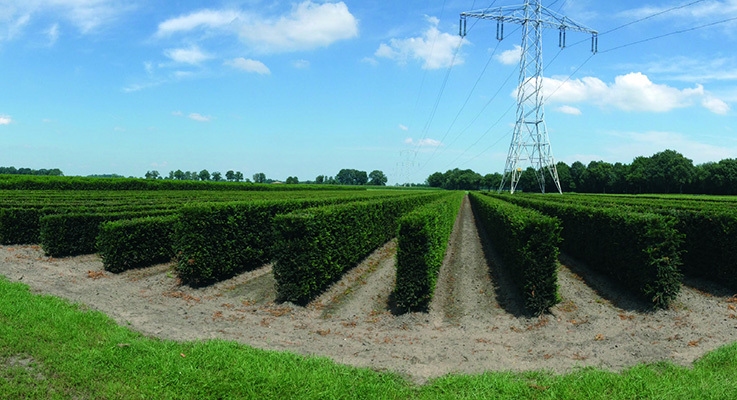 The hedges are primarily used as privacy screens and windbreaks, and while some property owners let them grow somewhat wild, most have them sheared and shaped two to four times a year to keep them symmetrical and dense. 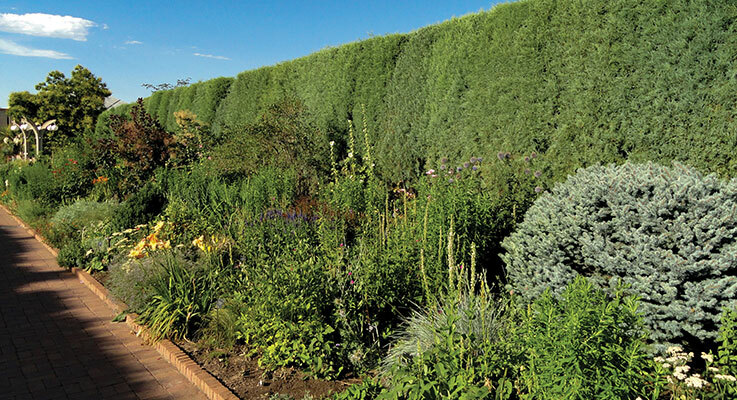 Brent Markus, owner of Rare Tree Nursery in Silverton, Oregon, has introduced a new line of conveniently packaged, pre-formed hedges under the brand name InstantHedge. The new line has been in the works since 2014, after Markus was inspired by a visit to QuickHedge farm in the Netherlands. Markus then planted rows of evergreens and deciduous trees on more than 80 acres of land in Canby, Oregon. The resulting hedges are now ready for sale and shipment this spring. If you attended MANTS, and during the horticultural overload period managed to stop and look at the Rare Tree Nursery booth, you may have seen the display of InstantHedges. Before I go further, let me thank the marketing folks of InstantHedges for keeping the "T" in Instant! But back to the topic—it’s pretty ingenious, especially considering its simplicity. The concept revolves around providing what consumers want. You ask, "What is that?" Instant gratification, of course. That’s why they hire a landscape contractor in the first place! Designers, landscapers, and contractors now have an instant option for privacy, screening, and aesthetics with InstantHedge. 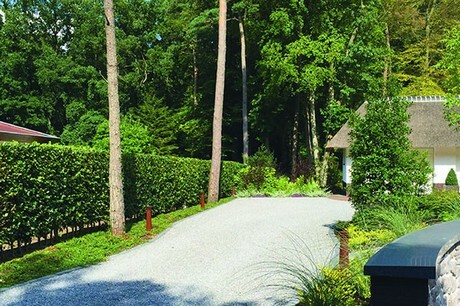 "Marrying custom, patented technology with decades of horticultural experience, we have created beautiful, high-quality hedges for any landscape. Rather than waiting years for a traditional planting to grow together to form a screen, our InstantHedge provides immediate gratification as a ready-made solution for privacy and design," says owner Brent Markus. When I saw a press release come into my inbox this week with the subject heading “Finished Hedges in a Day!,” I was skeptical. I’ve seen those “hedges” that are actually stiff plastic look-alikes—that’s got to be what the release was referring to. Right? Brent got the idea for InstantHedge while on a trip to Holland in 2012. In 2014 he planted more than 400,000 plants. Now with some of them topping 6 ft., it’s time to dig and ship. Brent has 13 different evergreen and deciduous varieties to choose from in zones ranging from 2-9, heights from 3-6 ft. and from full to partial sunlight. In the fall they plan to start selling 18-inch lengths of boxwood hedging. InstantHedge, a nursery based in Canby, Ore., will release its live, ready-to-plant hedges in spring 2018. “Rather than waiting years for a traditional planting to grow together to form a screen, our InstantHedge provides immediate gratification as a ready-made solution for privacy and design,” said Brent Markus, founder of InstantHedge. Each panel—consisting of four trees—is 40 inches and is available in heights of 3 to 4 feet or 5 to 6 feet and a thickness of 16 inches. The hedges are delivered in plantable, biodegradable cardboard containers. There are three units per pallet and 90 units per truckload. The trees have been cultivated for more than five years by experienced hands and precision-agricultural technologies, said the company. Local satellite, high-frequency GPS guides InstantHedge’s patented equipment for planting, watering, root pruning, delicate sculpting and harvesting, ensuring uniformity and consistent quality. InstantHedge currently offers thirteen varieties of evergreen and deciduous trees in heights ranging from four to six feet. The hedge units can be planted in any configuration and can conform to any landscape design. The only nursery in the United States offering beautiful, thriving hedges, shipped ready to plant in a biodegradable cardboard box. Each elegant InstantHedge unit is designed for rapid planting - privacy and finished design in a day! CANBY, OR, February 1, 2018 – InstantHedge announced that its high-quality, live, ready-to-plant hedges will be available in Spring 2018. The Company, five years in the making and planting, is the only nursery in the United States to offer this product. 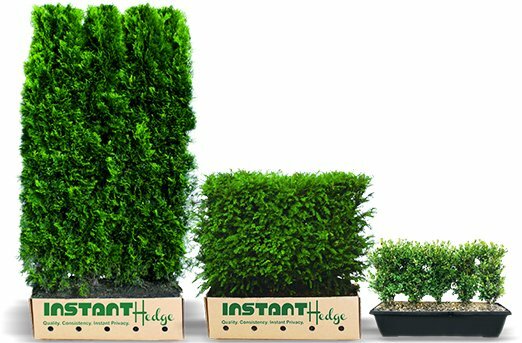 Using the precision of GPS and computer-controlled equipment, InstantHedge offers quality-controlled hedges sold as a unit consisting of several trees in a panel, ready to be planted for instant privacy. Up to 500 feet of trees – approximately 150 InstantHedge Units – can be planted in just one day. The trees are cultivated over five years by experienced hands coupled with the most advanced precision-agricultural technologies. Local satellite, high frequency GPS guides InstantHedge’s patented equipment through the crops for planting, watering, root pruning, delicate sculpting, and harvesting, ensuring exceptional uniformity and consistent quality. InstantHedge currently offers thirteen varieties of evergreen and deciduous trees in heights ranging from four to six feet. The hedge units can be planted to conform to any landscape design. Brent discovered his passion in his teens, landscaping his parents’ garden in a suburb of Chicago. He won his first award, the Chicago Tribune Garden Contest Best Collectors Garden, when he was 17, and his designs have been featured in numerous national publications. Brent attended Cornell University to study landscape architecture and received his Masters in Horticulture. 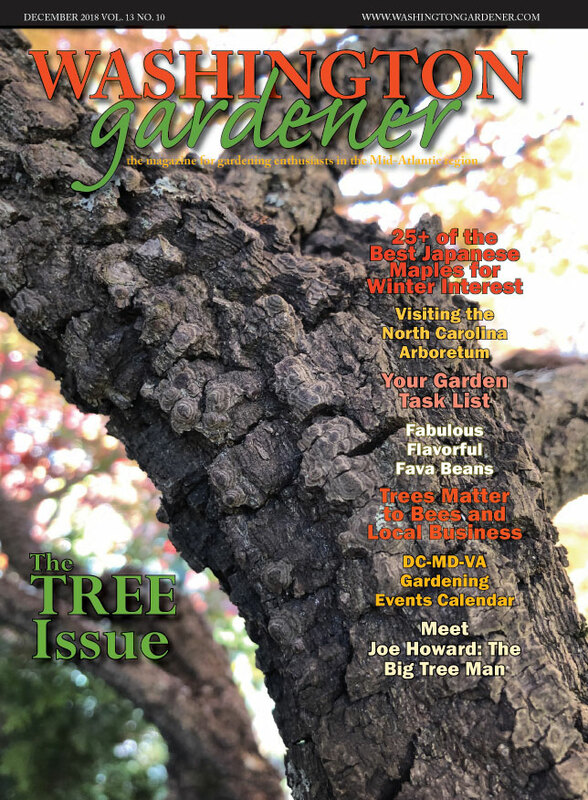 Brent’s original nursery, Rare Tree Nursery has been operating from the same location for the past 11 years and specializes in Japanese Maples and Dwarf Conifers. 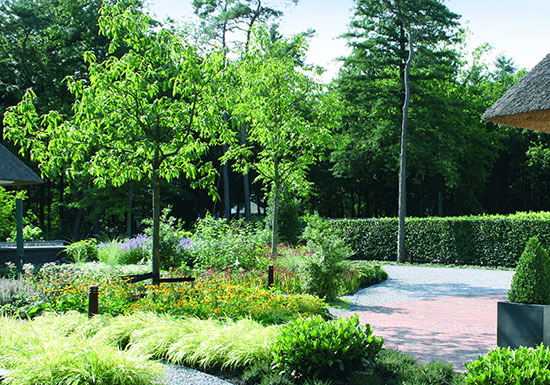 Hedges can be planted in any configuration and can be customized and configured from a landscape architectural drawing. 40’’ panels consisting of four trees are available in heights 3-4’ or 5-6’ tall and 16” thick. The hedges are delivered in plantable, biodegradable cardboard containers. There are three units per pallet, 90 units per truckload. Two rows are planted, trimmed and pruned at once. As Seen on This Old House! Want to feature InstantHedge in your publication? Contact us for photos and more information!